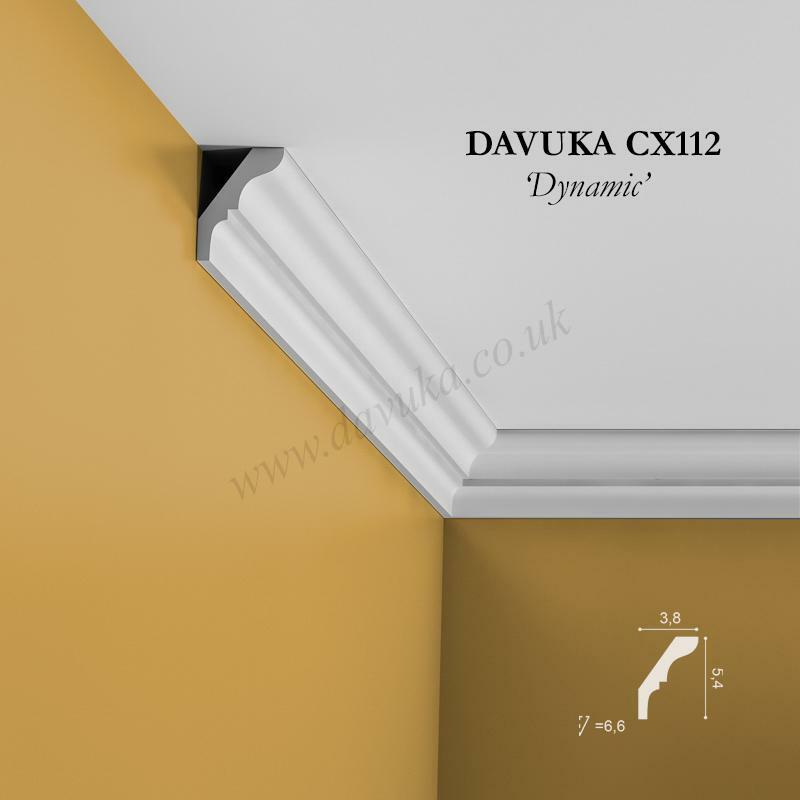 One of our classic, most popular and desirable patterns in the traditional coving size of 8cm x 8cm. 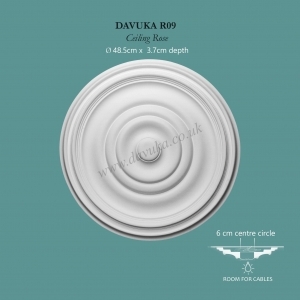 Matches well with PX120 dado rail, an R09 ceiling rose plus SX138 skirting board. Available in 2m or 2.6m lengths and optionally, precise factory mitre-cut internal and external corner lengths (see next product for this option). 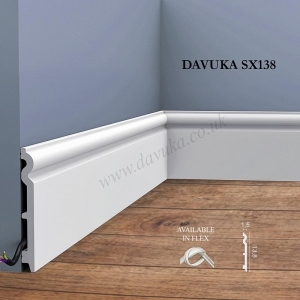 Enables fast, easy installation without mistakes. 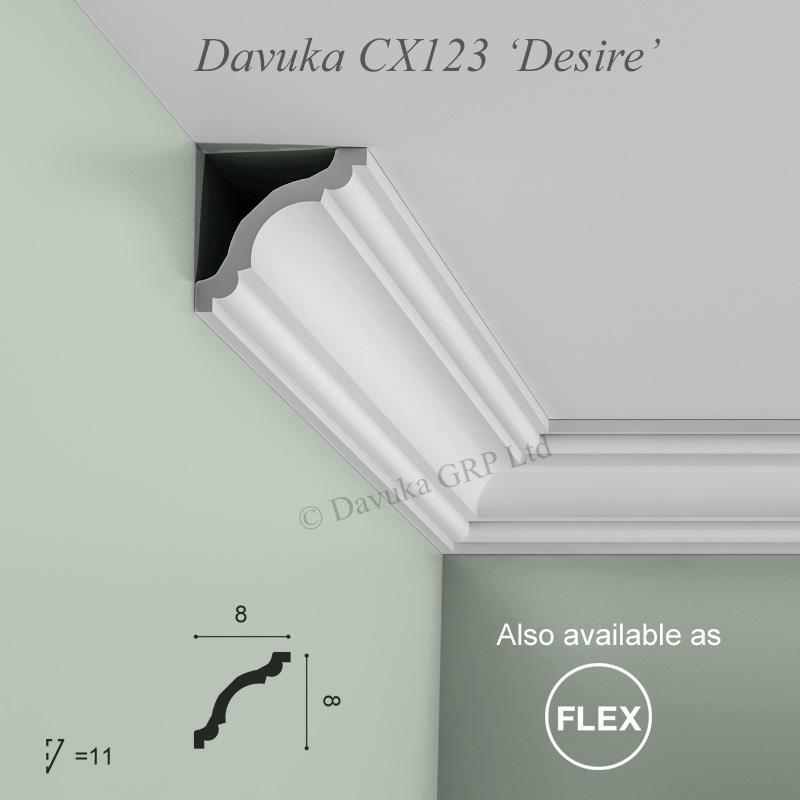 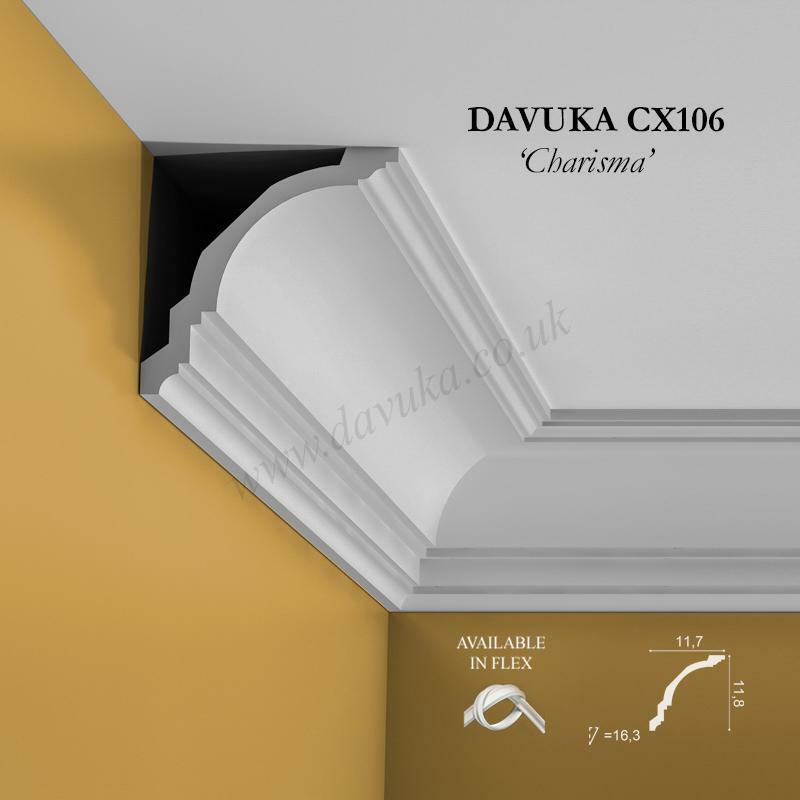 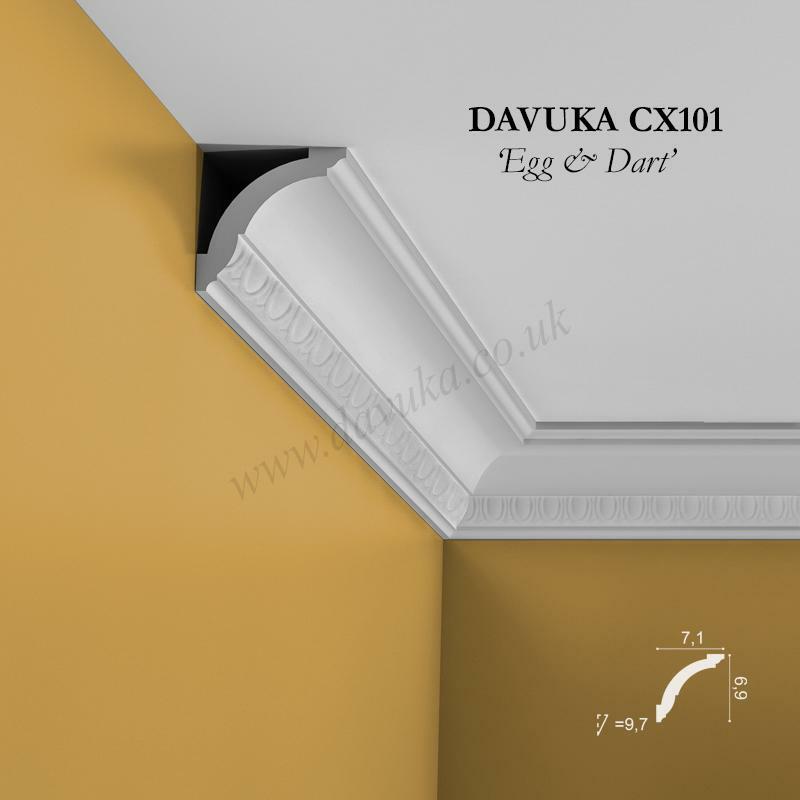 Using the Correct Jointing and Mounting Adhesives for the CX123 ‘Desire’ coving – IMPORTANT!